The strength and durability of stone coated steel roofing. DO YOU WANT A GOOD SHINGLE, OR A GREAT ONE? A good roof can’t compare to the ULTIMATE roofing system! Midwest Home Exteriors offers industry best brands for roofing, siding and windows. All product installation provided by Midwest Home Exteriors have earned the industry’s best warranties offered. Featuring Owens Corning Preferred level installs so your home has a warranty for product, craftsmanship and labor – an industry BEST. Want a free no-hassle estimate on your home improvement? Just click to request your estimate via email or phone. How Would The New Black Sable Look On Your Home? 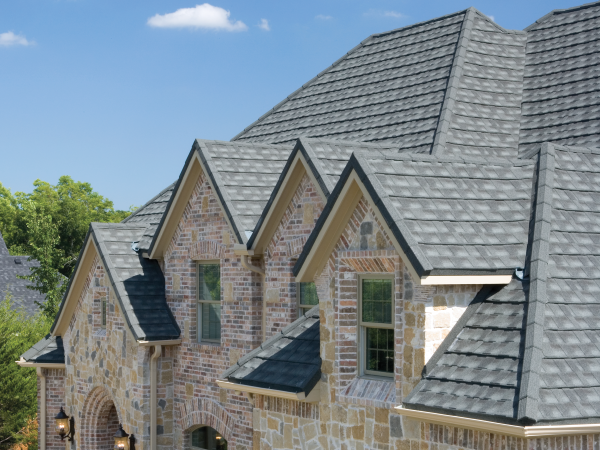 See how your new roof will look on your home before you decide. Schedule a free measure and estimate. Midwest Home Exteriors offers the best brands – Decra Steel, Owens Corning, LP Siding and more. Our installers have completed over 8,500 projects since 2010 and warranty product and installation over the lifetime of your home with full transferability. Estimates are always free and no obligation.